You’ve trained for years and are fully prepared for your Ironman, triathlon, duathlon or 70.3 – now all you need to do is transport your bike safely and economically to your event. Arranging transport can sometimes be stressful, which is why we offer our safe and economical European bike transport service. We safely transport bikes to a number of triathlons and sportives across Europe including the Etape du Tour, Ironman, ETU, ITU, Maratona dles Dolomites, La Marmotte, Lanzarote, Italy, France and Mallorca. We will collect your bike from your home or office and safely transport it to your event where it will be waiting for you on your arrival at your hotel, fully built. After the race we collect your bike again and transport it back to England delivering it right back to your home or office. 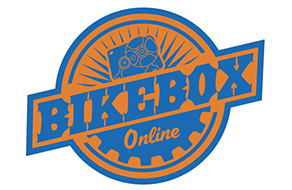 It’s also economical: book our bike transport service in advance and the prices are lower – it often works out cheaper than bike box rental and return airline sports equipment fees. Due to growing demand for our bike transport service, we are now only collecting and returning bikes to and from our clients’ houses or places of work. For most events your bike will be away for a week before the event and a week after the event. Please bear this in mind if you need the bike for training or another event in this two-week period. 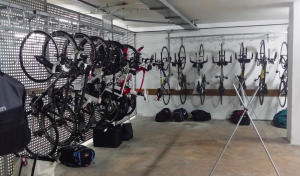 Bikes will be transported fully built, either in our van or with another agent specialising in bike transit. The bikes will be left fully-built at named hotels within 10km of the start town. If we plan to arrive before you, we ask that you contact the hotel and give permission for the bike to be left in your room or a locked store. Bikes will be collected on conclusion of the event from a named point within 1km of the finish line. For triathlons we try to meet you at the transition area. At the sportives we may text and email you the meeting point when we’ve had a chance to scout one out. We will endeavour to give you 48 hours’ notice of the exact post-event meeting point. Please make arrangements to get back to your hotel on completion of the event without your bike, if required. What do I need to do to prepare my bike? Please remove all accessories. Some trips also require pedals to be removed. You will be informed if this is the case (pedals can be zip-tied under the seat). We will take all care in packing but won’t be held responsible for lost or broken accessories. We will give you a card with the European mobile number of our driver and the office number in the UK. Please keep this safe in your wallet and on the ride with you. We will also ask you sign for any existing damage on the bike before it enters our care. The bike will be fully insured while it is in our possession, so please let us know the value.